This 11 oz. ceramic coffee mug with extra large handle is easy and comfortable to hold. 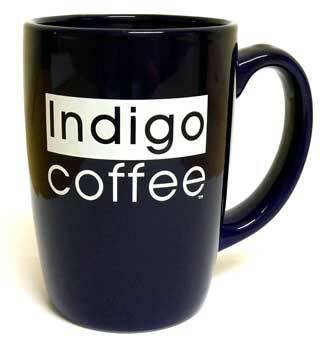 In blue with the Indigo logo on two sides. An instant classic!